Sika Deer are excellent swimmers! ark grey to black, their spots are faint or absent during the winter. Their tail is shorter and with less distinct stripe than fallow. Very distinct white gland on hind leg. Their antlers are branched, similar to red deer but usually with a maximum of eight points. They are vocal. Sika have a wide repertoire of vocalisations. 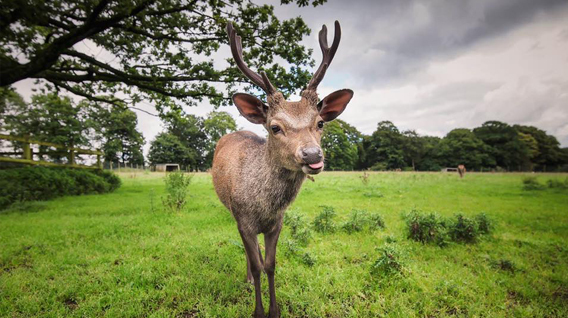 Stags groan, blow raspberries, yak-yak and give a high-pitched whistle during the rut or can emit a startling scream! Hinds with calves whine and calves reply with a bleat or squeak. When alarmed both sexes give a short, high-pitched bark. Sika are active throughout the 24-hour period but are more active during the hours of darkness in populations experiencing frequent disturbance. ORIGIN: Native to much of East Asia. LONGEVITY: In the wild 10-18 years. WEIGHT: 30 to 50 kilos. SIZE: Can be 50 – 110cm tall. 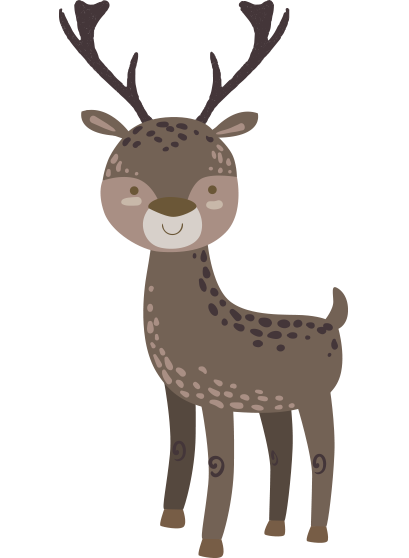 DIET: Sika deer are herbivores and graze all types of ground vegetation. They are grazers of dwarf shrubs, especially heather. Coniferous tree shoots and tree bark may occasionally be taken in small quantities. GESTATION: A single calf (rarely twins) is born during early May to late June after a gestation period of 7 ½ months.